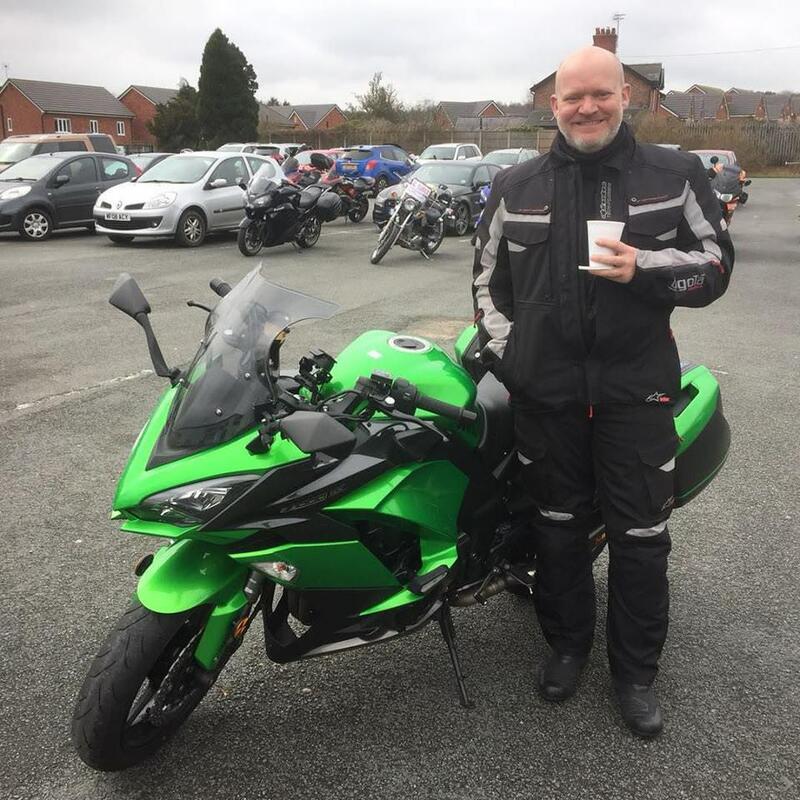 Malcolm called in at Northwich to see us on his Kawasaki Z1000SX. Lovely bike! Nice to see you again Malcolm. Every time I see you another new Kawasaki. Nice bike and safe riding.